Art galleries are not always great at selling themselves. Many of them struggle with the concept of an inviting entrance, let alone actually getting out there and promoting themselves. It was therefore interesting to see RMIT Gallery buck the trend by confidently referring to themselves as ‘Melbourne’s most vibrant art gallery’. 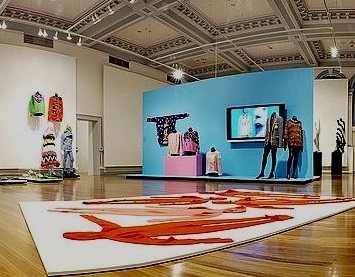 Established in the late 70s, the RMIT Gallery does a lot right and if you use diversity to measure vibrancy, they may just have a point. Exhibitions have ranged from celebrations of music and experimental light displays to international photography and modern fashion. Each exhibition is backed up with a strong line-up of events and public talks. It’s a good place to keep in mind next time next time you find yourself up that end of town. If you want to combine it with a nice lunch, you are in luck. RMIT is littered with a great range of cafes that are nothing like the greasy tuckshops traditionally found in universities.